From as young as I can remember, shoe shopping has been one of my least favorite things to do. Pretty sure my mom had to drag me to the store to pick out shoes at the beginning of each school year! There’s really no rhyme or reason why – I would just rather spend money on makeup and purses. However, I’m going to eat my words and confess that these days I can’t stop buying sneakers! Maybe it’s the whole athleisure trend or the fact that I need comfortable shoes in my old age. Sneakers are where it’s at and what I wear 95% of the time. They’re also a good transitional shoe option as we navigate all the up/down weather and temperatures that spring brings! 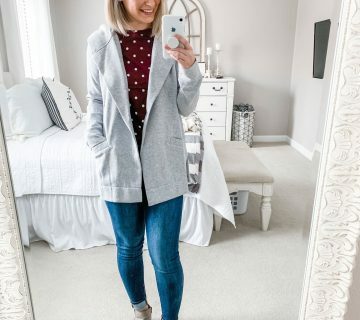 Slip-on’s are definitely my favorite style since they’re easy to throw on and seem to look the best (on me) with jeggings and shorts. I picked up this pair from Dr. Scholl’s before our vacation last month, and they’re easily the most comfortable sneakers I own. And, cute too! The neutral taupe color goes with everything. Just like any shopping I do these days, of course I’m looking for good quality at a budget price. I can’t believe the Dr. Scholl slip-on’s are only $50! They look/feel/wear like a much more expensive pair of shoes. 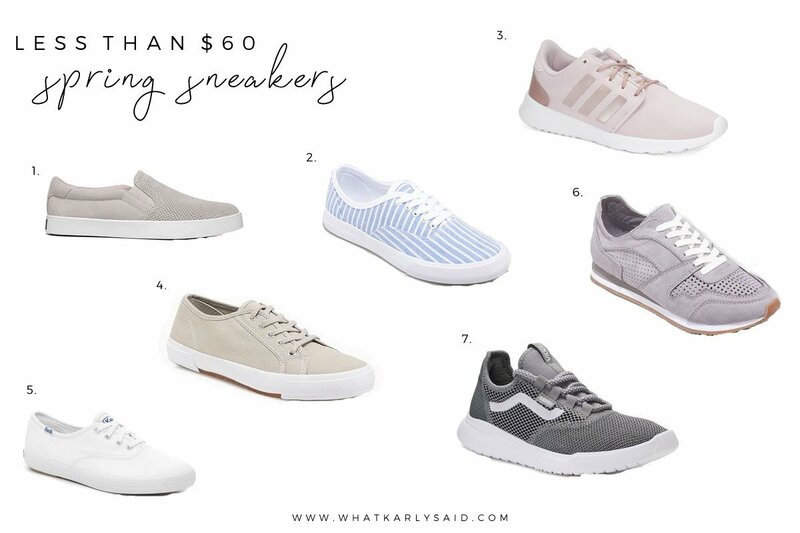 I rounded up my spring sneakers picks for less than $60 if you, too are looking for some new kicks and need to stay within budget! Out of this bunch, I’m most anxious to get my hands on these shoes from the Target dv collection – they also come in the prettiest blush color – and a classic pair of white Keds. Can we also quickly discuss how Vans have made a comeback recently? My high school-self loves it, especially their take on athleisure sneakers. What’s your favorite spring shoe style? 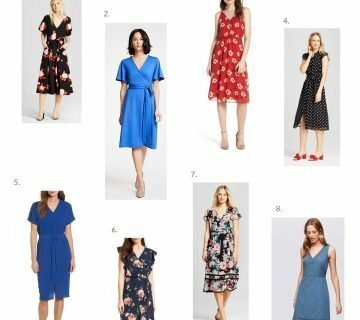 Also check out some of my recent spring closet additions. I love those blue and white striped ones! Slip on sneaks are the only kind I’ll wear anymore. Aren’t those so cute?! You and me both – so comfortable and easy. Any excuse to shop, right? Lol. 🙂 Nike Tanjun’s are on my list! You’re right, I always had to convince you to go shoe shopping but never had to convince you to buy a new purse, haha! Love all the sneakers you chose, now if only I could find anything in my size! I know you have trouble finding shoes in your size – some of these sneakers would look cute on you! I’m a sucker for any Ked style of shoes, and those target ones are calling my name! I’ve recently seen a line of Keds that are floral, and I’m itching to get some for spring and summer! I love all of these you’ve selected- and that price tag! I am loving the sneaker trend lately too. Those slip ons are great! Those slip on’s get so much wear!